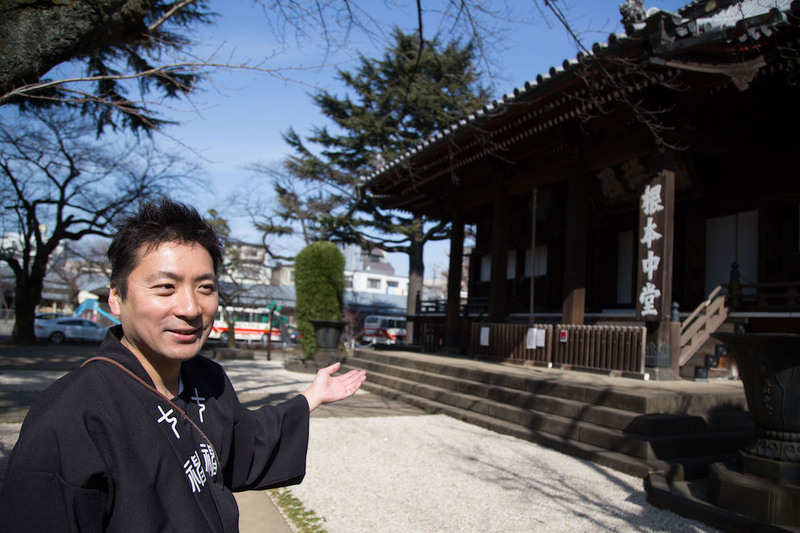 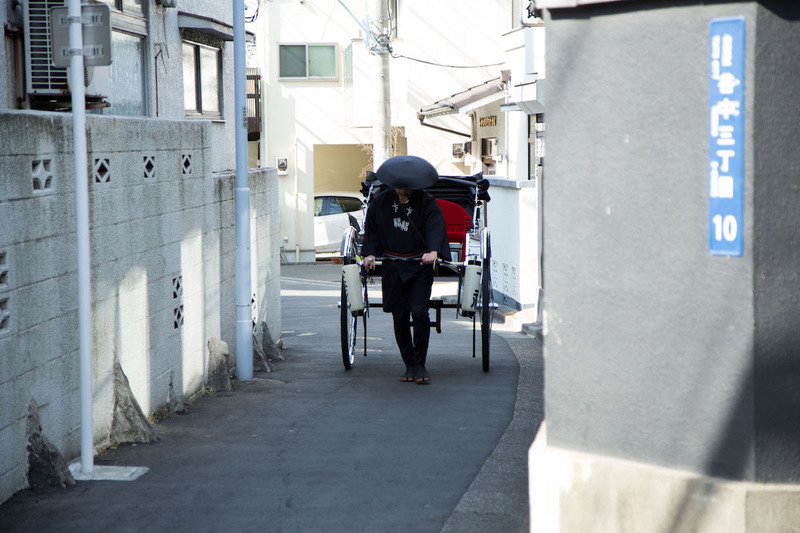 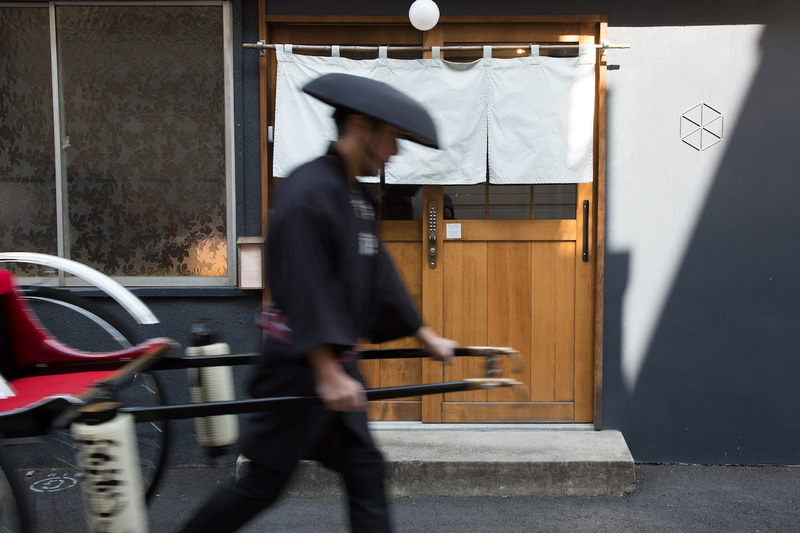 Yoshiakira Mashiko is a traditional Japanese rickshaw driver for NANAJIN, based in this neighborhood. 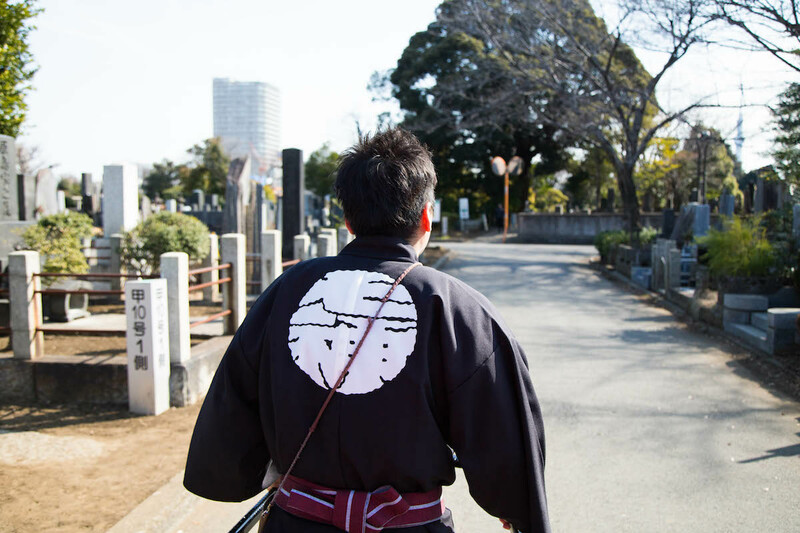 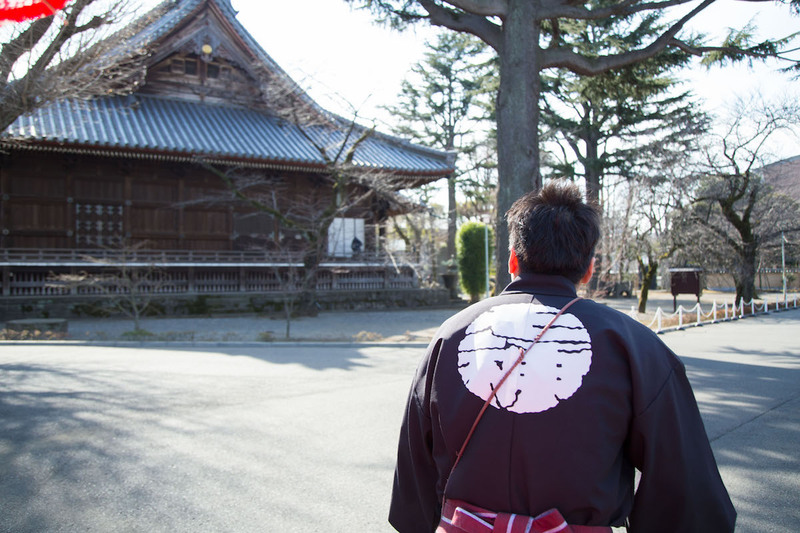 He travels wherever he’s called, but his home base is the Yanesen, Ueno Sakuragi, and Nippori area. 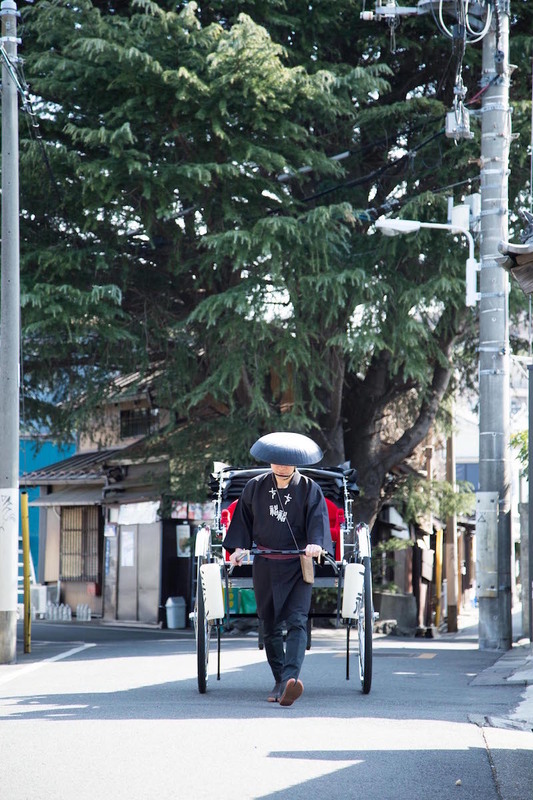 Japanese rickshaw is said to be invented by Yosuke Izumi in the late 19th century. 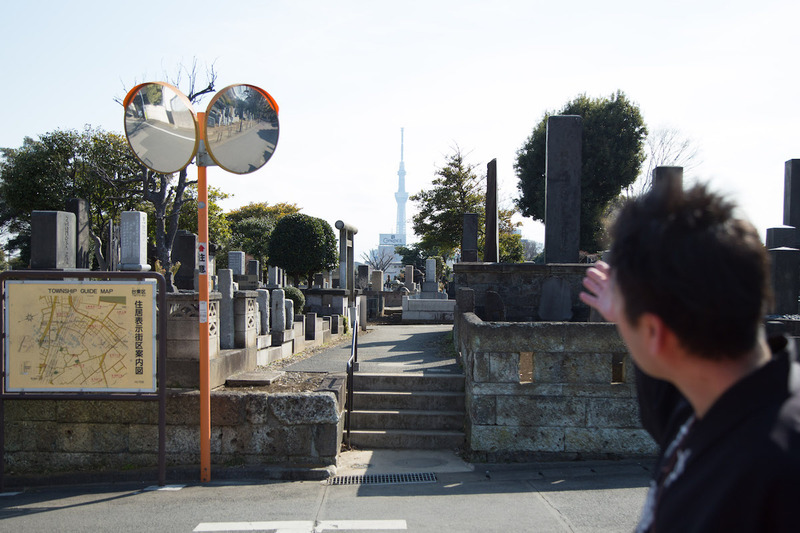 His grave can even be found at Cho-mei-ji temple in Yanaka. 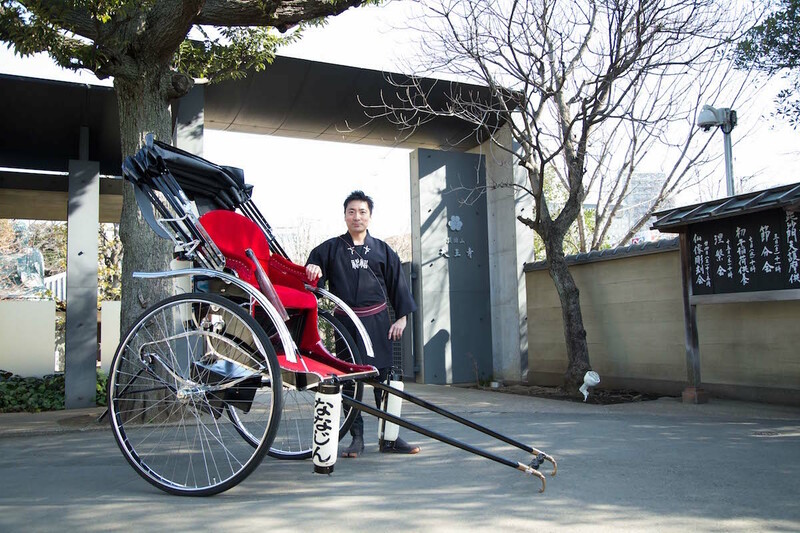 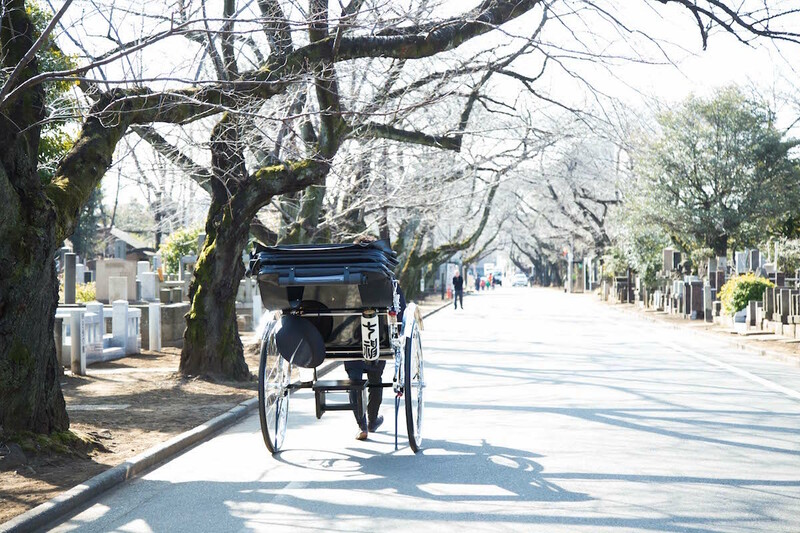 Riding in a rickshaw, with a town expert like Yoshiakira, is a great experience that all of us would recommend while you are in town. 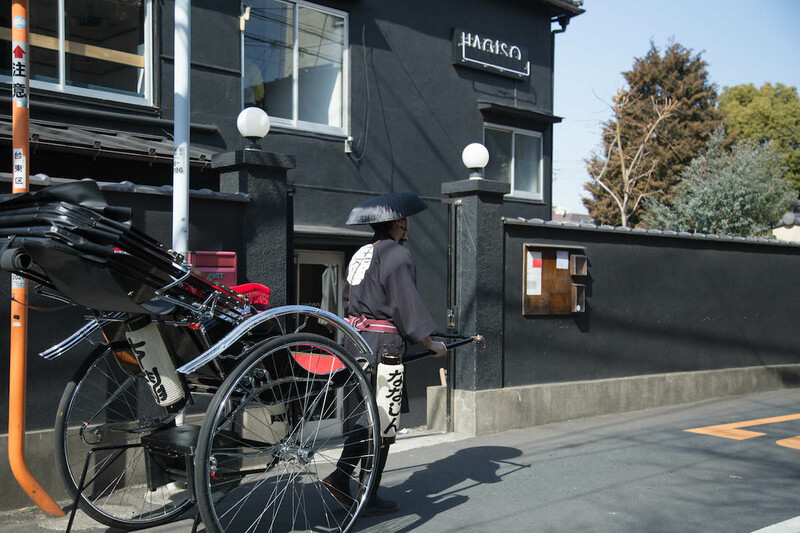 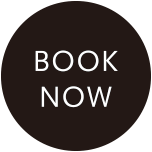 hanare guests will receive a 500yen discount. 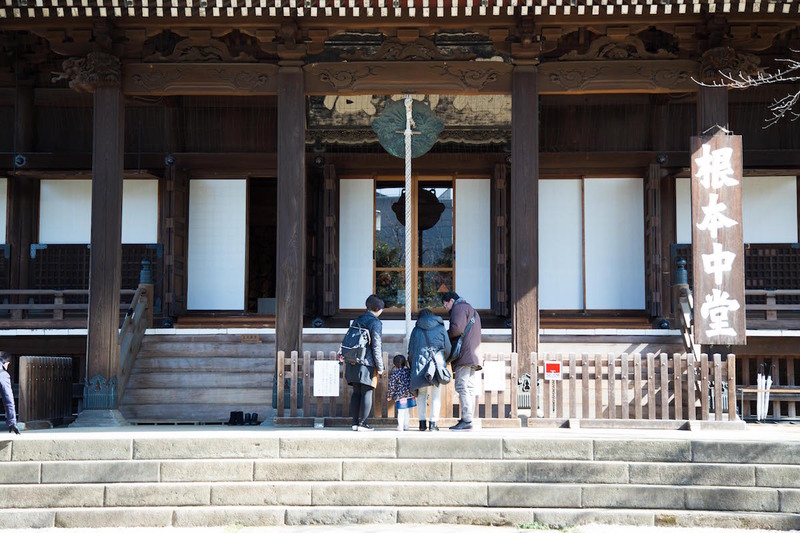 If you are interested , please don’t hesitate to contact us.